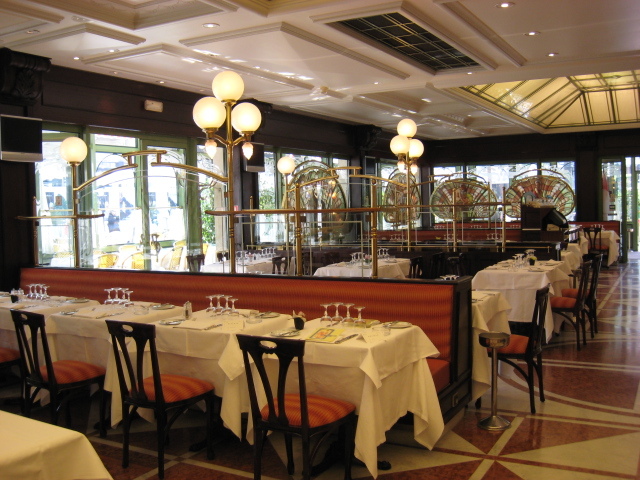 Monte Carlo Weekly Photo: Ready for lunch? oooh...just spotted this site too! I'll post a link on my site. Monte Carlo is one of our favorite places!! There was a Cafe de Paris in Istanbul, once. (Maybe still). I liked their stake with the Cafe de Paris sauce on it, comes with a bunch of french fries:) The sauce was a yellow sauce with some curry. I wish I could found the recipe for that. Do they have that sauce in there? Chris and Deb - thankyou so much for stopping by. I always feel I'm going on holiday when I go to Monaco yet it's only 10 or 11 ks. from where I live. And Oya,well your steak with a curry sauce sounds very good - except I'm a vegetarian! But I used to eat meat until a few years ago so can appreciate what you are saying. Maybe they do have a sauce like that but I don't think there is a sauce called Cafe de Paris sauce. Much more likely they have an Istanbul sauce! Other places are always more exotic, eh? Beautiful restaurant!! I bet it is expensive to eat there.